Thom has filmed three Everest documentaries spanning two decades. He was high altitude cameraman during the expedition that discovered the body of lost British mountaineer George Leigh Mallory at nearly 27,000 feet in 1999, 75 years after his disappearance (PBS/BBC). He also filmed Accidental Climber in 2014, which was released to critical acclaim in 2018. 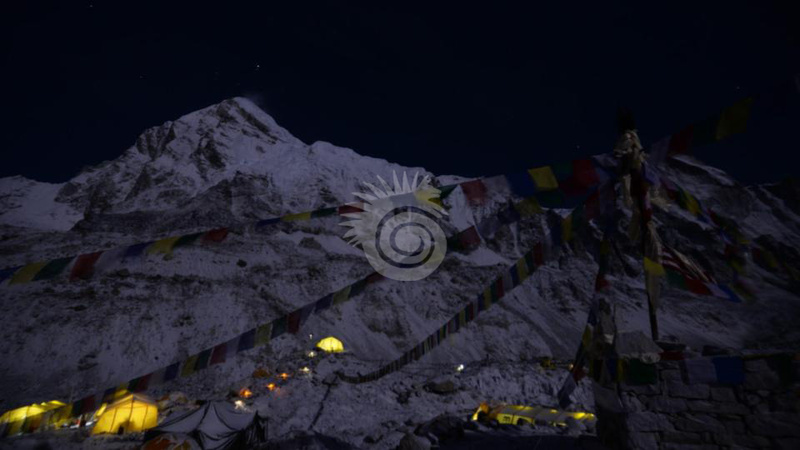 In 2016, during the filming of Sharing Everest, Thom reached the summit on May 22nd under a brilliant full moon. Sharing Everest is currently in production. Thom has filmed three Everest documentaries spanning two decades, notably as high altitude cameraman during the expedition that discovered the body of lost British mountaineer George Leigh Mallory at nearly 27,000 feet in 1999, 75 years after his disappearance (PBS/BBC). He filmed Accidental Climber in 2014. And, in 2016, during the filming of Sharing Everest, Thom made the summit on May 22nd. The expedition discovered the body of George Mallory at nearly 27,000 feet, 75 years after his disappearance. 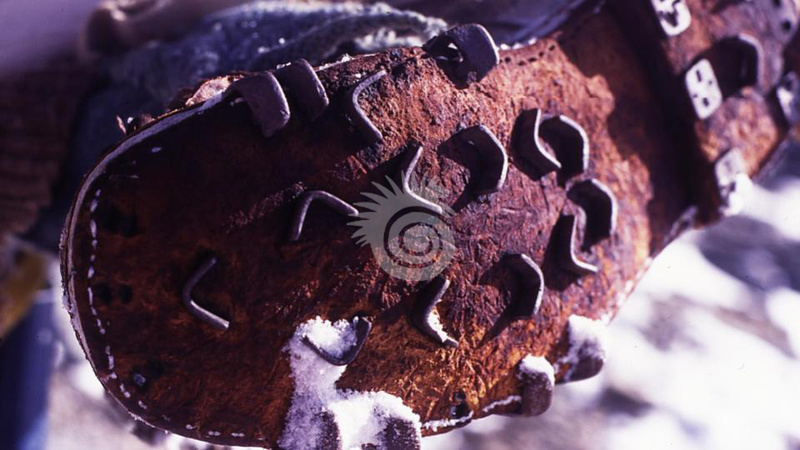 Pollard’s photo of the bottom of Mallory’s boot. 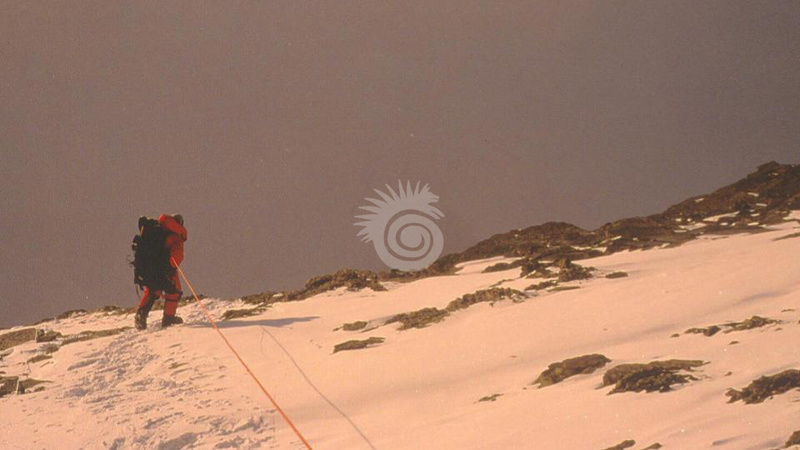 The image was taken at the site of Mallory’s body at nearly 27,000 feet on Everest’s north face, as well as numerous other photographs, have been published in dozens of books and publications worldwide, including National Geographic Magazine, National Geographic Adventure Magazine, Vanity Fair, GQ, Parade, and many more. Early on the morning of April 18, 2014 a massive serac avalanche claimed the lives of 16 men, mostly Sherpa, working in the notorious Khumbu Icefall on Mount Everest. Sleeping below was 68 year old Jim Geiger, an American who endeavored to become the oldest American to summit the mountain. ACCIDENTAL CLIMBER chronicles Geiger’s unsuccessful attempt and deeply emotional response to the deaths, effectively putting an end to his dream. Pollard served as field director and cinematographer on the expedition and recently released film. 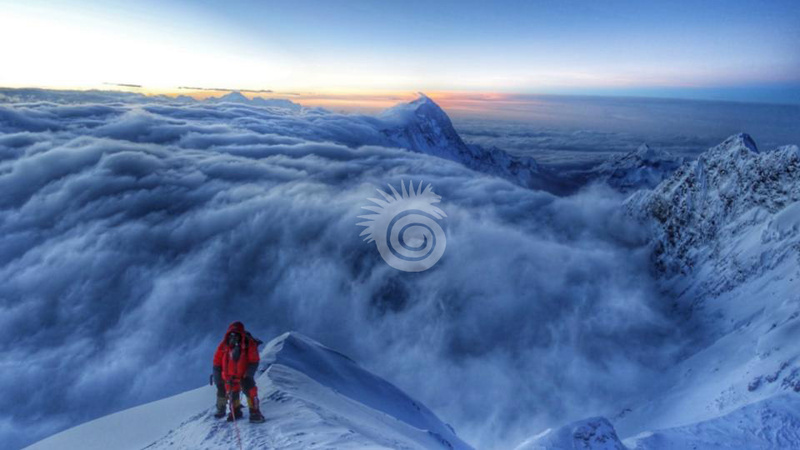 In 2016 Thom embarked upon his third expedition to Everest. 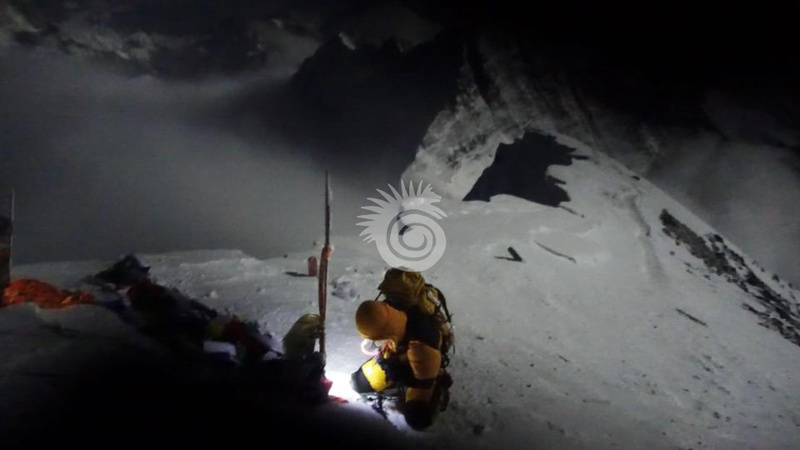 On May 22 he reached the summit at 2:40 in the morning under a brilliant full moon. Sharing Everest will become a worldwide traveling museum, wherein visitors will be able to experience what it’s like to climb Mount Everest. 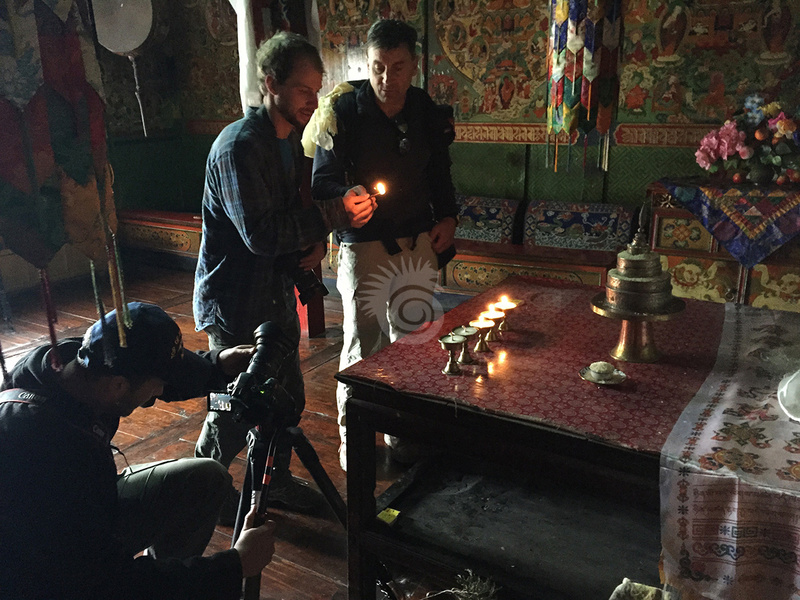 The crew films a scene for SHARING EVEREST in a prayer room in Namche Bazaar, April 2016. 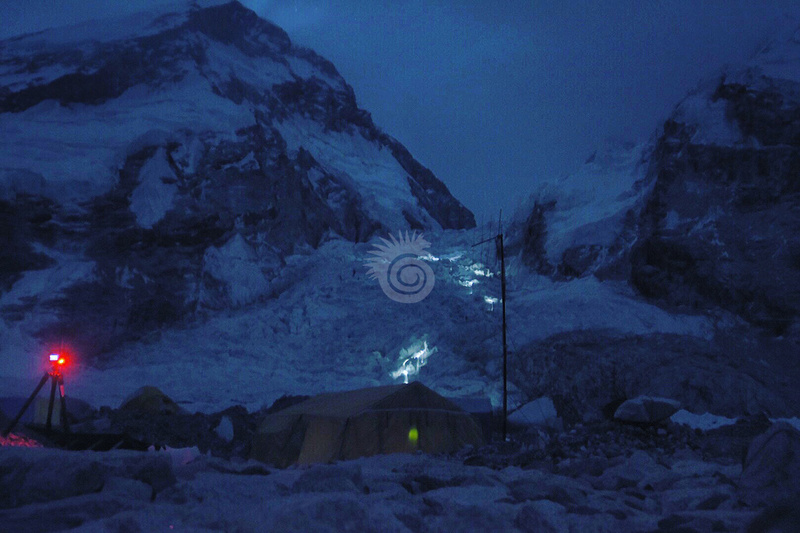 Headlamps of climbers can be seen ascending into the Khumbu Icefall. 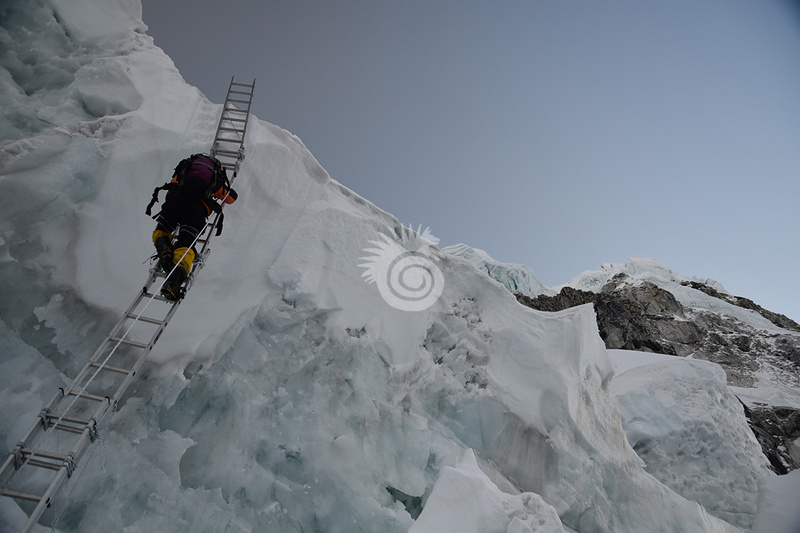 A climber in the Khumbu Icefall ascends sections of ladder tied together.